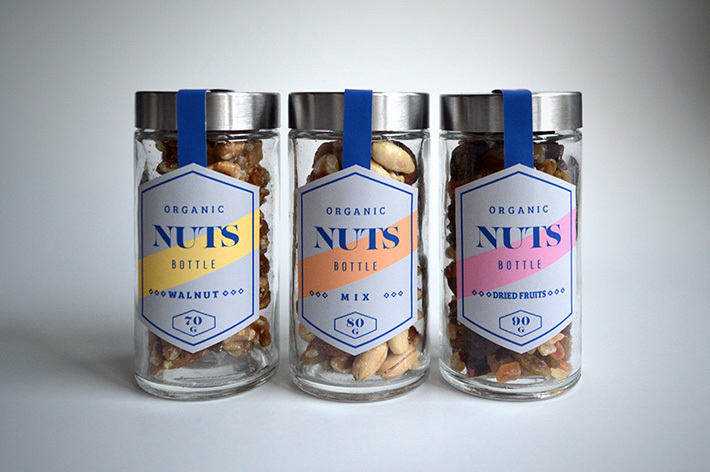 Concept design for a premium organic nuts brand. 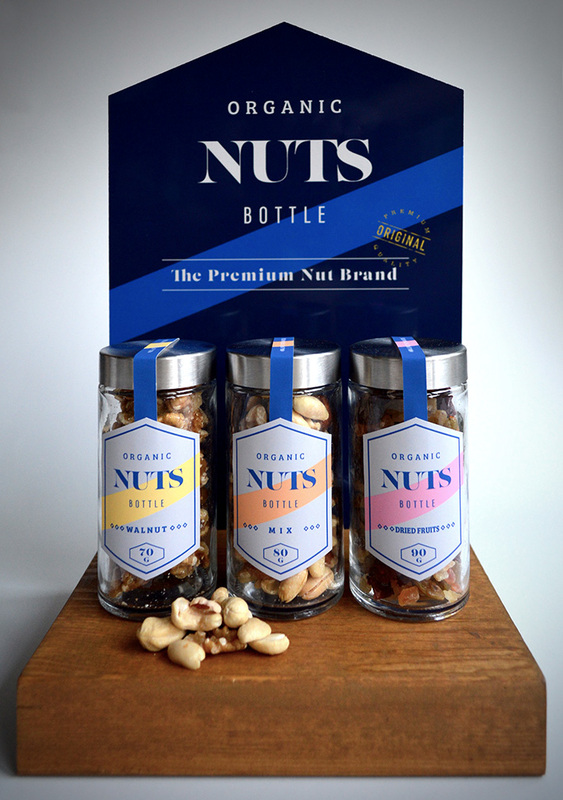 Organic nuts bottle is a brand of nuts and dried fruits. 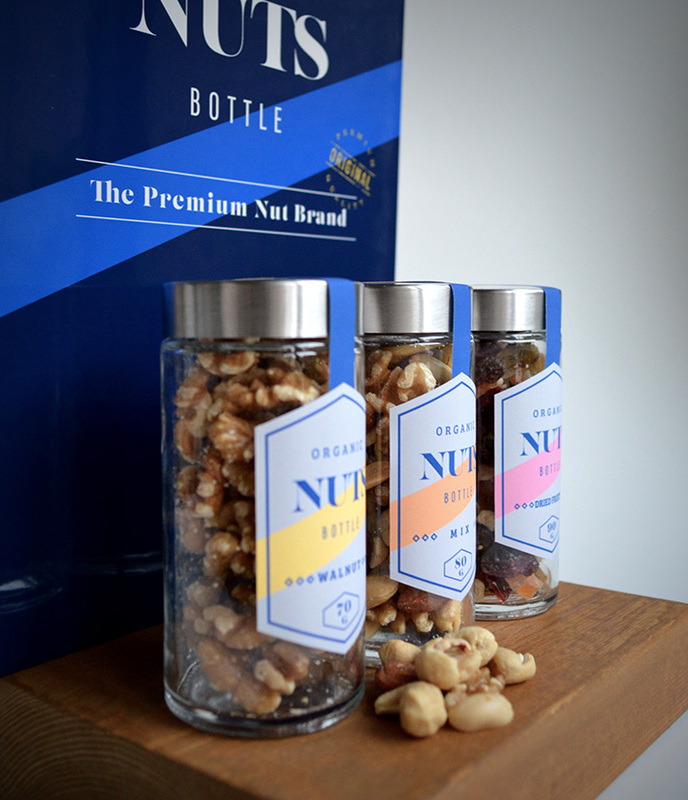 These are contained in a glass bottle.